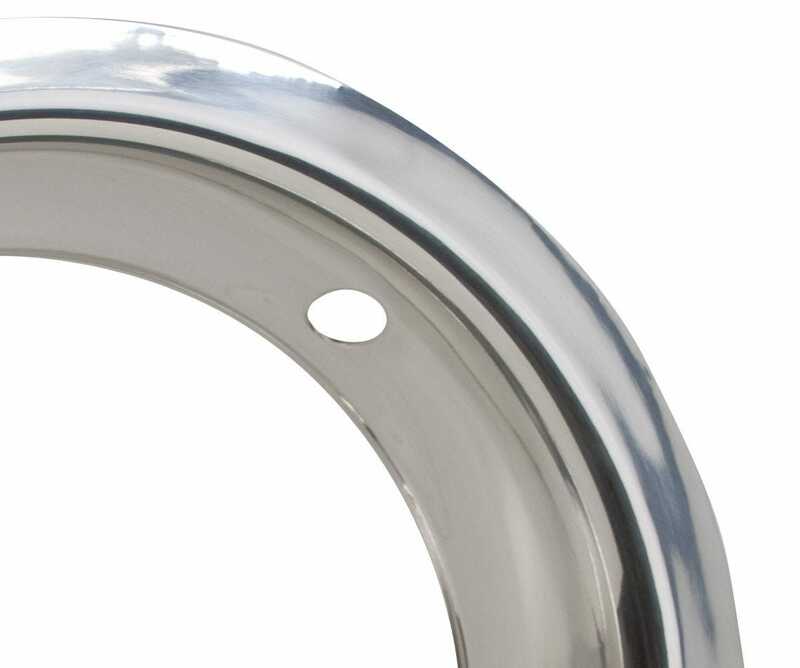 This stainless steel trim ring is 15 Inch x 3 inch round for a more bold statement on new or original steel wheels. 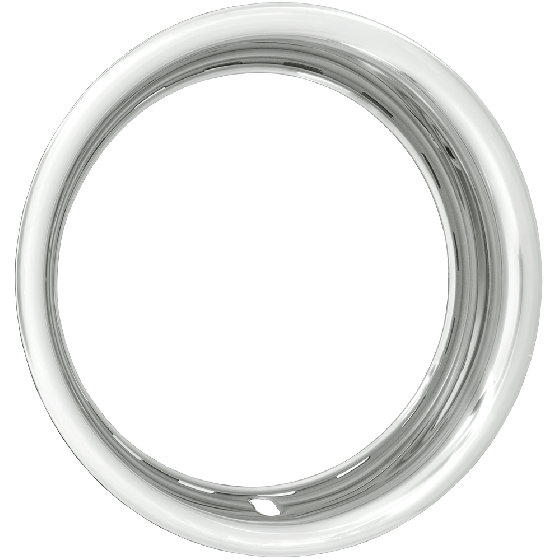 These 15 inch wheel trim rings are a great accessories to a classic steel wheel on muscle cars, hot rods and more. 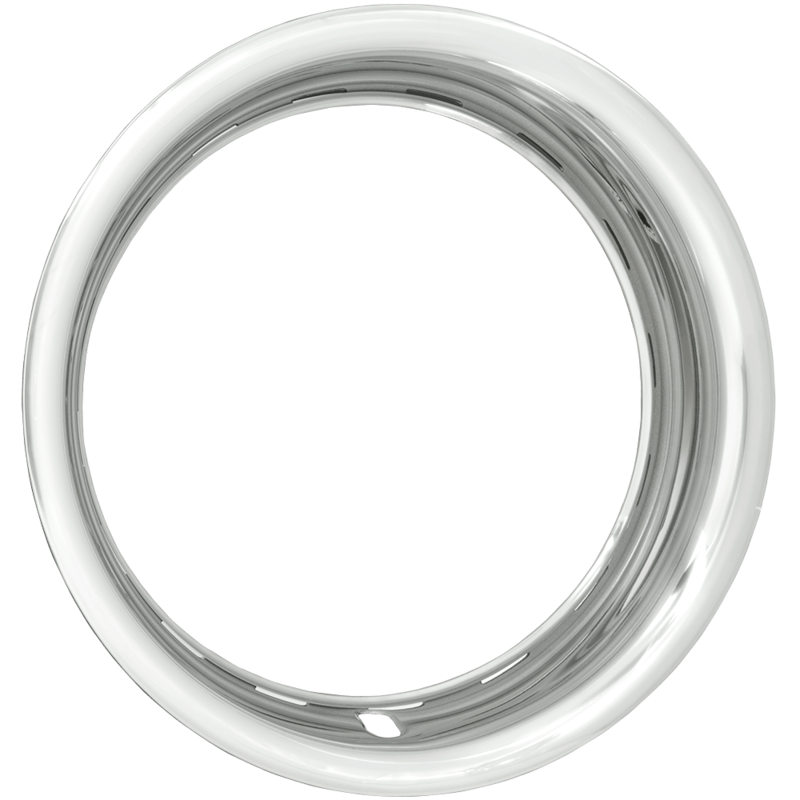 These wheel beauty rings feature stainless steel construction, with a smooth, rounded profile. These trim rings are excellent for custom and stock applications! 3" actual depth, straight sided valve stem opening, beveled bottom edge matches appearance of smaller 3001-A. We generally do not recommend a trim ring or full sized cap on any chrome wheel as it is not only redundant, but is also harmful to the finish.